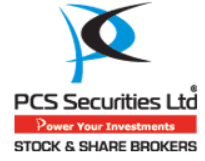 PCS Securities is a reputed name in stockbroking industry. Their success lies in the consistency they deliver in each service they offer. With a wide array of trading services and compelling user experiences, they have managed to establish 288 branches all across India. They deliver useful assistance in Trading platforms and offers an aggressive brokerage fee. PCS Securities have 110 customer reviews that display the consistency they have shown for the last 15 years. They are undoubtedly one of the best stockbroker companies in India right now. Mr K. C. Shrimal had a vision of creating a business empire in the stockbroking industry. Therefore, he founded PCS Securities in the year 2004 at Hyderabad, the capital city of the new form state Telangana. The perfection they have shown during the advancement of technology is worth noticing. That is why they are successful and a noteworthy name in the stockbroking industry. PCS Securities offer dynamic brokerage fees. They charge between 0.2% – 0.5% for Equity Delivery trading which is industry standard. For Equity Intraday, Commodity Options, Equity Futures and Currency Futures trading their brokerage fee ranges between 0.02% – 0.05% respectively. The cost for Equity Options trading they charge between Rs.20 – Rs.50 per Lot, whereas Currency Options trading they charge between Rs.10 – Rs.25 per Lot. PCS Securities offers zero Margin Money. Every trader has to bear some additional fees namely the Transaction fee of 0.00315%, the STT of 0.0126% on Total Turnovers and SEBI Turnover fees of 0.0002% on Total Turnovers. On top of that, a variable Stamp Duty fee depending on the state where a trader is along with 18% GST. The transaction value along with the brokerage fee is the final amount the traders have to pay. However, these additional fees are nominal and hence, will not affect the profit margin much. PCS Securities offers 100% free Demat opening with its AMC. The same goes for Trading account along with its AMC. Both the account provides Offline to Online support. What makes PCS Securities so compelling is they offer free Demat and Trading account opening. The AMC for both the account is free as well. Although they don’t provide any Discount on Brokerage fees, they provide Flexible Brokerage Plans to make it up. No “Happy Hours” or Referral offers but provides special Holiday offers to privileged trading associates. They don’t provide any discount or rebate on the brokerage fee if any trader fails to earn a profit or suffer a loss. 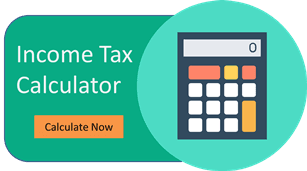 How to Open a Demat Account with PCS Securities? Please click on “Open Demat Account” button below. Fill up your name, mobile no. & city. Then the traders have to fill up the preliminary registration form with correct data. After that, the traders must submit the necessary KYC documents which are mentioned. Once they accept the documents, they will generate the login credential to start trading. Why Open PCS Securities Trading Account? Without a Trading account, no trader is allowed to do stock or commodity trading. A Trading account also shields the purchased stocks. PCS Securities offers a free Demat account with AMC. PCS Securities offers a free Trading account with AMC. They offer a consistent user experience. PCS Securities provide consistent services in Equity Trading, Commodity Trading, Currency Trading, Options and Futures. They have not initiated any activities related to Mutual Funds, Forex, SIP and Banking. However, they offer excellent Insurance schemes. It has been discussed a few times that PCS Securities free Demat account along with its AMC. The same goes for Trading account along with its AMC. What’s interesting is even though they are not a Trading Institution, they still manage to deliver Trading exposer up to 6x. Although they don’t provide Robo Advisory and PMS, they offer consistent services in Intraday and IPO services with perfect Stock Recommendations. PCS Securities offers Equity Delivery exposer or leverage of just up to 2x which is not much compared to other companies. They provide Equity Futures, Currency Futures, Currency Options and Commodities at the rate of up to 2x which is again below par. They did try to compensate by delivering Equity Intraday exposer or leverage ratio up to 6x. The Equity Options is decent too – up to 4x. PCS Securities delivers an easy installation desktop application to its trading associates, designed for both Windows and Mac users. Apart from the necessary options like real-time updates or Global indices, they also provide Interactive Charts and Live Markets updates. The application lacks Online MF Buy and News Flash options. PCS Securities believes in delivering convenient trading experience. That is why they are not reluctant to keep their Browser based trading platform in operation. It has all the functionalities that constitute the best user experience. PCS Securities offers a fully functioning mobile app for uninterrupted trading services. The app comes in both Android and iOS, available on their website and in Google Playstore. The app has SMS notifications and email alerts to assist the traders. The only feature that is unavailable in the app is the Multi-Account Management option. With 283 branches scattered all around the country, PCS Securities delivers uncompromising customer support. They operate via dedicated dealers who provide the best customer support ideally suited to the stockbroking industry. They provide Offline and Online support. However, no 24×7 service, chat support or Toll-free number assistance, but the email service is carefully crafted to service customers efficiently and swiftly. No such massive complaints against PCS Securities. Just a little here and there, a couple of issues from NSE which was dealt with a professional attitude. Their Percentage of No. of Complaints Received Against Number of Active Clients is 0.11% which is exceptional compared to other stockbroking companies. Relatively low Exposer or Leverage Ratio. The dynamic Brokerage Charge & Fees are often treated negatively. The lack of Company Reports, Annual Reports and Company Stock Review in Research & Advisory services. PCS Securities is in the stockbroking industry for 15 years now. They have been enlisted as one of the best stockbroker company in India, mainly because of the level of dedication they displayed over the years. Another factor is their consistency. With excellent versatile trading platforms, a dedicated support team and amazing user experience, we can say PCS Securities is arguably the most trustworthy stockbroker company in India right now.